Bourjois dries down to a true matte finish, while the others remain slightly dewy but not sticky/tacky/etc. 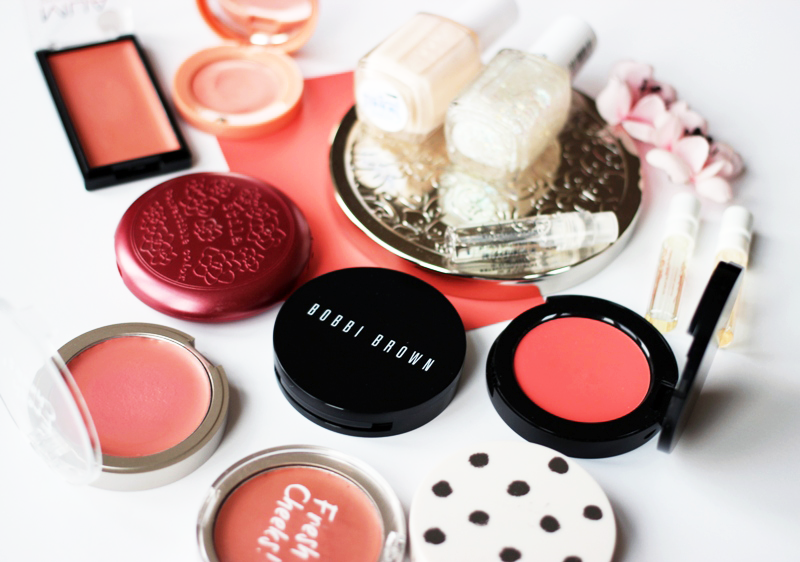 Bobbi Brown's 'Pot Rouges', Stila's Convertible Colours, and Chanel's cream blushes...oh dear lord. When I read reviews that Bobbi Brown's Pot Rouges are 'slightly dewy', I was afraid it was going to be exactly like my Tarte Cheek Stains—uncomfortably tacky on my skin and pulling a disappearing act on me within the hour. I'm really glad I picked up Bobbi anyways (I'm a ~gambler~, I know) because I am currently firmly attached to the shade 'Hibiscus', a gorgeous red-orange coral and I may or may not have tried to put a ring on it. I borrowed Stila's Convertible Color (Poppy) from Jenn a few weeks back, and the formula is the stiffest/'gummiest' one I've worked with to date, but the diverse colour range for the line means there's something for everyone. Between Stila and Bobbi Brown though, I much prefer Bobbi, since the formula isn't as stiff. And of course, no cream blush love list would be complete without Chanel, which has the lightest texture of the bunch and dries down to a completely matte finish. IT'S SO PERFECT IT HURTS MY SOUL. Honestly, I really don't think there's too much of a quality difference between the best drugstore and high end cream blushes. Both are bound to last ridiculously long due to their cream nature, and though the drugstore versions aren't as pigmented as the high ends, you're bound to get along skimping in this category. 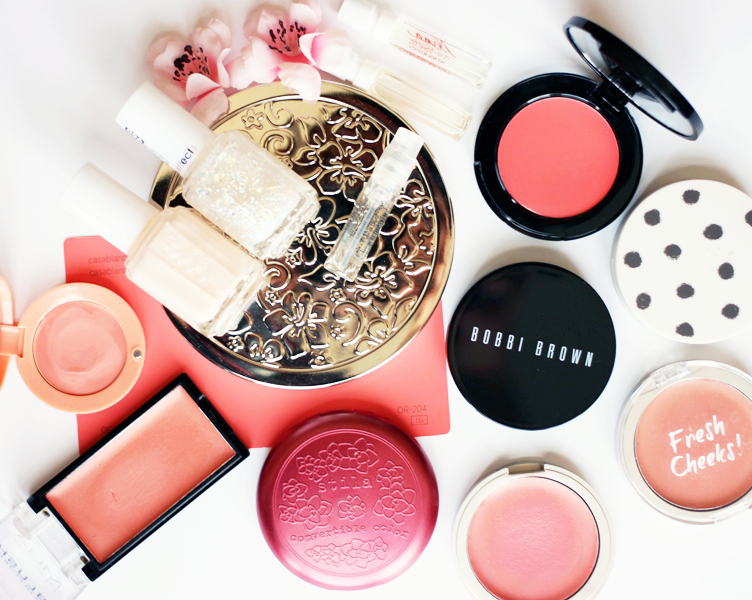 Do you wear cream blushes? Which one(s) is/are your favourite(s)?